FC Barcelona Regal kept its perfect Turkish Airlines Euroleague record untouched and handed CSKA Moscow its worst Euroleague home loss with a dominating 60-81 victory in a clash of undefeated teams on Thursday in Moscow. Barcelona now holds sole possession of the first place in Group D with a 5-0 record, while CSKA drops to 4-1 and into second place. Marcelinho Huertas and Juan Carlos Navarro each scored 8 points in a crucial 5-19 third quarter run, which Barcelona used to open up a 15-point lead after three quarters. The visitors then played lockdown defense the rest of the way to cruise to big victory. Navarro led the way with 21 points – including 4 three-pointers – and Huertas finished with 12. 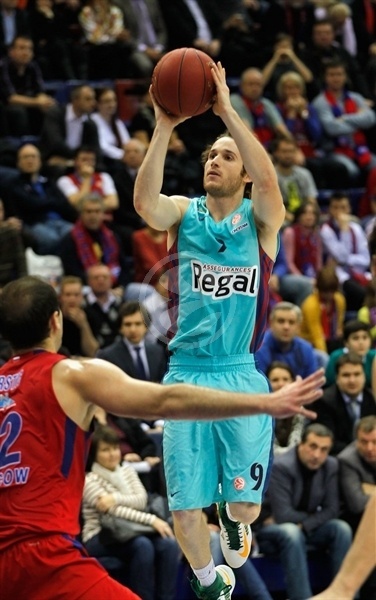 Erazem Lorbek added 15 points and Nathan Jawaii chipped in with 10 points plus 7 rebounds for Barcelona. 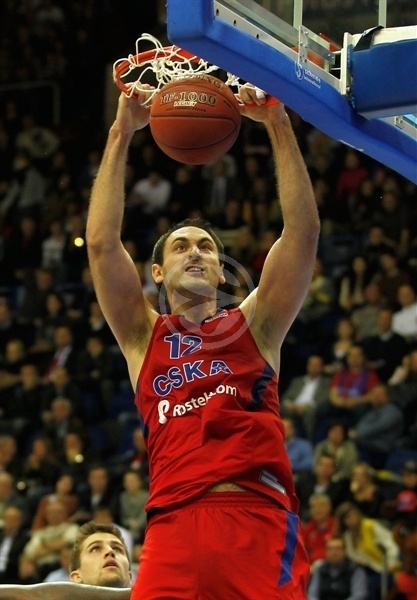 Nenad Krstic led CSKA with 18 points, Milos Teodosic scored 12 and Anton Ponkrashov netted 9 in defeat. 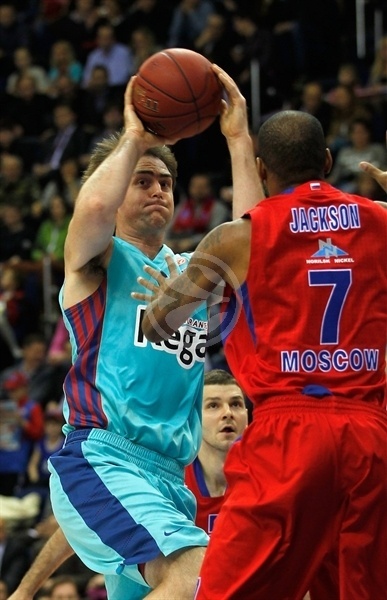 CSKA’s previous worst loss was 73-90 against Tau Ceramica (now Caja Laboral) in April 2002. Ponkrashov split free throws on the opening possession and Viktor Khryapa hit a turnaround jumper that made it 3-0 early. 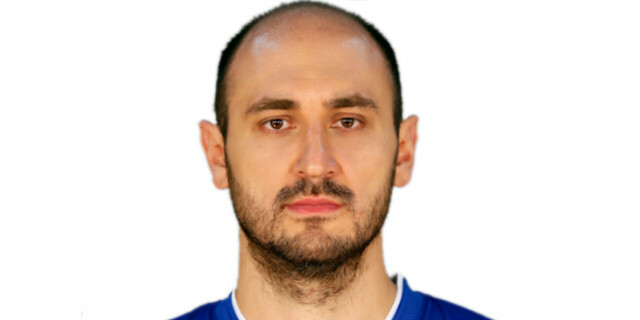 Navarro’s signature La Bomba shot opened Barcelona’s account before Sasha Kaun scored twice inside for hosts, but Lorbek answered with a layup and a three-pointer. 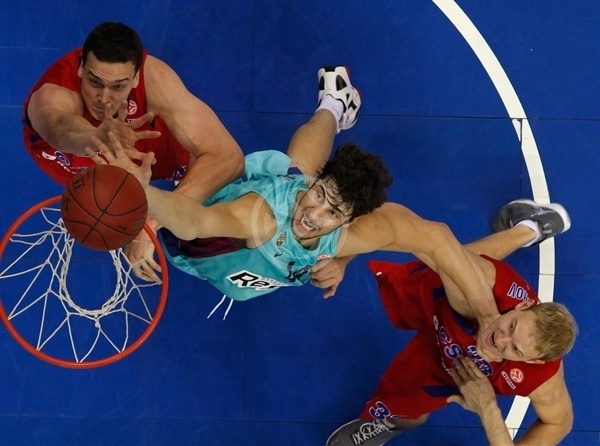 Ante Tomic made a hook shot for first Barcelona’s advantage, 7-9, but the lead was short-lived. Teodosic ignited a CSKA run; After sinking a triple from the right corner, Teodosic then assisted for easy layups to Ponkrashov and Krstic, and finally scored a driving layup himself making it 18-13. Barcelona came back through Lorbek in the low post and with Jawaii scoring inside to make it 19-17 at the end of first quarter. Krstic hit a layup in the crowd to start the scoring in the second quarter, but aggressive defenses got the best of both teams as baskets did not come often. Andrey Vorontsevitch and Pete Mickeal traded basket inside and Sonny Weems hit a long jumper to make it 25-21. 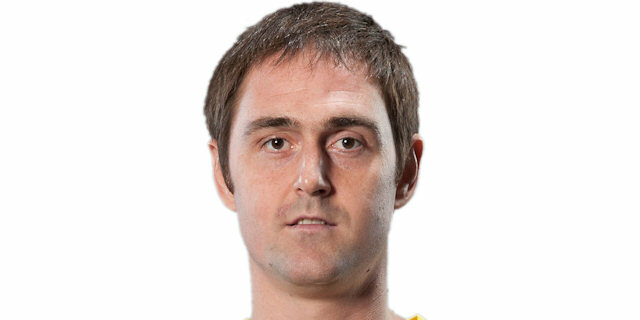 CSKA did not make a use of Jawaii’s unsportsmanlike foul, and C.J. Wallace hit a triple at the other end that cut it to 26-24 and started a 2-9 run that also included a floater from Huertas and a triple from Navarro. 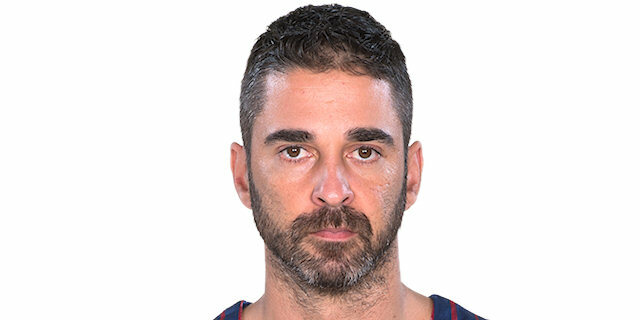 Another Navarro floater put Barcelona up 30-32. Khryapa immediately hit a jumper and Teodosic scored a layup-plus-foul to make it 35-32, but a 0-6 run with Navarro making another floater and Victor Sada scoring twice inside gave Barcelona as 35-38 halftime advantage. Huertas hit 2 free throws to start the second-half scoring, and inside buckets from Tomic and Lorbek kept Barcelona at a 5-point lead. CSKA scored on four straight possessions, including a jumper and a dunk from Krstic that got brought the hosts within 43-44, however back-to-back triples from Navarro and Lorbek opened up a 44-52 Barcelona advantage. Before Vladimir Micov ended CSKA’s scoring drought, Navarro extended the lead into double digits; his triple made it 46-59. 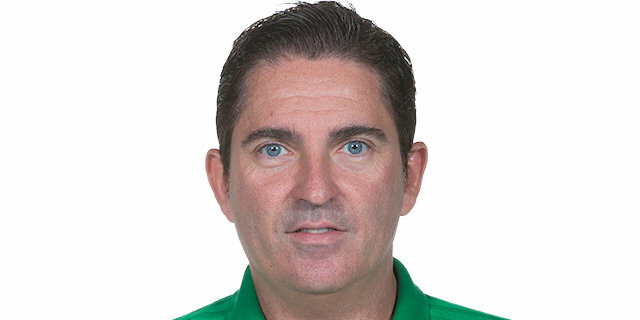 Barcelona’s stiff defense allowed only one field goal rest of the quarter while Huertas hit all 4 of his free throws to make it 48-63 going into the final 10 minutes. It took CSKA one minute to score in the fourth quarter as Ponkrashov made a fastbreak layup and Krstic scored in a crowd, but Navarro hit his fourth triple of the night and Jawaii threw down a monster dunk to open up a 16-point lead. Navarro’s 2 free throws and a triple from Victor Sada put Barcelona up 54-73 as it was clear the Spanish champs would be coming out on top in this game. CSKA was held scoreless for nearly six minutes, and by that time Joe Ingles and Jawaii had already extended the lead to the biggest margin of the night, 54-77. In the final two minutes of the game, Krstic and Vorontsevich tried to cut into the deficit, but Jawaii replied with an alley-oop slam to put the finishing touch on Barcelona’s big night. "We have no reason for such a disappointing loss. We can say that we missed easy shots during the game. That’s the only point. But of course that’s not a reason to lose and cannot be taken as an excuse. In basketball you should not give up, never ever. Which we actually have done today. And when you give up you should apologize to the fans and to the club. And we should work even harder to see what we made of." "We are happy to win such a prestigious game against very good team and even better coach. We played well today, especially on defense, controlling the defensive rebounds and transition offense. And we did not turn the ball over much." "We obviously had a very bad game today. It is probably the worst game for CSKA and we are very disappointed. I don't know what happened. The only good thing is that it's still the beginning of the season. We have enough time to improve. After such a good game in Istanbul, team is still trying to find its rhythm. We could not reach a good lead in the first half when we missed some layups and shots. In the second half we didn't have team energy, could not score easy points. We have to watch the tape and see what happened. " "I think it was a good game for us. We came out with the right mentality and controlled the game. That gave us confidence to hit shots that we haven't made in other games. This is very important for us." "It was a big win, we are really happy. The team managed to bounced back after our Spanish League loss in Vitoria. We played a very serious game. Keeping them to 25 points in the second half is not easy. We have to carry on doing well and see if we can finish this week in the same way. We didn't play well against Caja Laboral this weekend, but we are working in the right direction. We have now sent a message, showing we can do great things. We have a team with a lot of new players. We hope to be ready to give our best at the most important time."